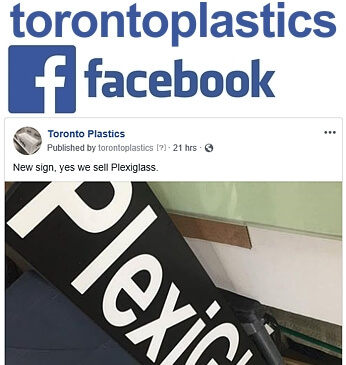 Plexiglass Acrylic fabrication Toronto Hamilton. 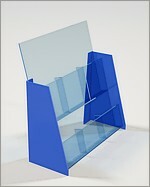 Custom acrylic displays plastic sheets. 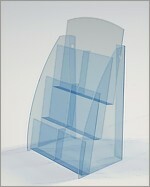 Plastic Fabricator, Acrylic Fabricator and supplier of Plexiglass sheets, Acrylic sheets and other Plastics. We make display cases, aquariums and everything in between. 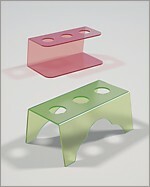 Stock materials include Acrylic, Plexiglass, Lexan, Makrolon, Polycarbonate, Lucite and Styrene sold cut to size. Follow the link above for a quick quote on your custom acrylic display case, fish tank, brochure rack, sign holder or plexiglass sheets. We also have in house vinyl cutting and printing. Do you have an item you need designed and fabricated out of plastic? We can help. For over 20 years we have been making custom bins, counter displays, floor displays, cosmetic displays, sunglass cases, plexiglass sign holders and more. Are looking for a custom aquarium at a competitive price? Look no further. 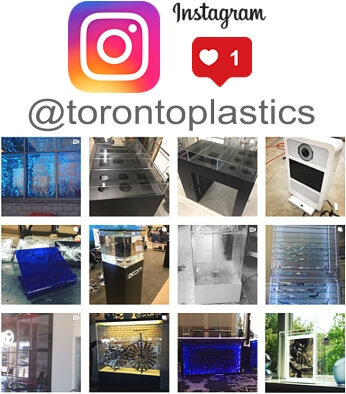 We've been manufacturing fish tanks for over 20 years and are the original wall aquarium supplier in North America (WallTanks.com). Our specialty tanks have been featured on several shows including "Extreme Makeover Home Edition". We stock a wide variety of materials including clear and colored Acrylic, Polycarbonate, Lexan®, Makrolon®, Plexiglass and Styrene. 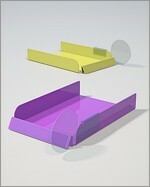 Generally a clear display will be made out of Plexiglass (extruded acrylic). If it needs to be impact resistant, Lexan (Polycarbonate) is recommended however the joints and edges will not be as attractive as acrylic. 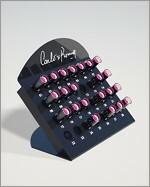 A pedestal for the display is usually made out of white or black PVC. PVC has a nice matte finish and is the most economical option. A glossy alternative is acrylic. Cast acrylic is harder than extruded acrylic and that's why it's used for fish tanks.